2012 was another record year for debuts in Kpop, enough to make us sick of them, and too many to remember. Some have had late blooming success, some have disbanded, and a select few have had instant success. But, when we think of strong debuts in 2012, the two names that come to mind are B.A.P and EXO. 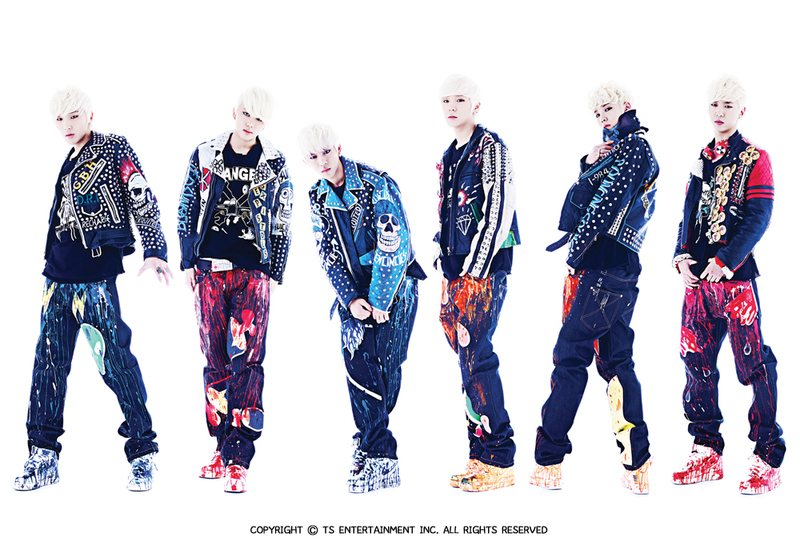 Six-member boy band, signed to TS Entertainment, B.A.P, was one of the 1st groups to debut in 2012 with powerful single, “Warrior,” which peaked at 1st and 3rd on the Hanteo and Gaon charts respectively. When B.A.P debuted, they brought something different from the other group were giving at the time. Outside of Block B, a group with a musical style focused on the Hip Hop, the other groups where more flower boy, with either a mysterious trendy image like B2ST or Infinite, or a cute flower boy image like B1A4 or Boyfriend. Therefore a bad boy concept, with a powerful track and strong dance routine, was something Kpop fan didn’t saw in a while. Another group that fans remember from 2012, though for a completely different reason is EXO. The 12 member boy band debuted in April of 2012, under one of the top three South Korean entertainment agencies, SM Entertainment. The label is known to be a pro when it comes to promoting their artist, and their newest boy group EXO is a really good example of that. Normally, when a group debuts, the agency releases promotional pictures for the members, along with their stage name, followed by one or two teasers of the debut song and MV. But SM decided to do something bigger. For EXO, they release a total of 23 teasers from December 2011 to February 2012. Not only did they put a lot of effort in the promotion for the 12 member group, but they also presented them as aliens with super power that even the gods would be jealous of. 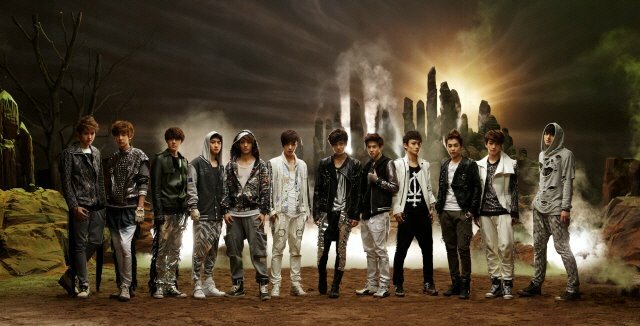 EXO’s first single “History,” released in March, came out some weeks before their official debut. Then came their first EP, “MAMA,” which was released nine days prior their official debut. After the conclusion of their “MAMA” promotions, the boys, continued with “History,” and then went over six month without releasing new stuff. It took more than a year before EXO made a comeback with their first LP, “XOXO” was released the 3rd of June in 2013 with the lead title “Wolf.” Following the “Wolf” promotion, they released a repackage album about two months later with “Growl” as the promotional track. As a Christmas gift to fans, they released a special album entitled “Miracle in December.” Since their debut the newest members of SM Entertainment are now the largest, and have won more than 30 awards. To me the main reason why EXO rose to popularity so rapidly is mainly due to the way SM promoted them. Yes, the kids are talented, but SM created major hype with their 23 teasers, plus being signed to SM didn’t hurt. I can guarantee than any group that didn’t have major success in 2012, would have, if they had debuted under SM. That sentiment can go both ways,I doubt that EXO would be where they are now if they were with another agency. As I’ve said, B.A.P and EXO had an instant success due to their unique concepts, and marketing strategy. However, there are some other groups didn’t have the same immediate rise to fame when they debut, but they ended up meeting that level of success after 1 or 2 comebacks. BtoB and VIXX are the prime examples..
BtoB who are under a fairly big agency, Cube Entertainment, debuted in March with “Insane” but at the time they didn’t leave much of an impression. 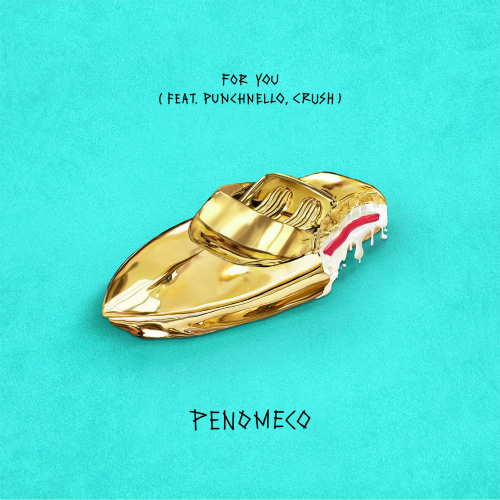 Their debut track brought nothing new to the Kpop scene, plus their sound was kind of similar to that of B2ST. When you are in the same agency than another group that already has a strong fan base, you need to be different. Sadly, the two other track they release for their 1st EP, “Born to Beat,” didn’t bring the attention they desired either. BtoB had to wait the release of their 2nd EP “Press Play,” to be in the spotlight. Even if “Born to Beat” actually did better on the Gaon Chart (it only peaked at 3rd position on the weekly album chart) than “Press Play” (4th position), the lead title of the latter, “WOW,” gave them a bit more attention. “WOW” is completely different from their previous releases and his also different from what their labelmates have given to the fan. Plus “WOW” really suited the group image. Almost a year after the success of “WOW,” the seven-member group released their 3rd EP, “Thriller,” and once again they decide to make another musical change by choosing something darker in tone. 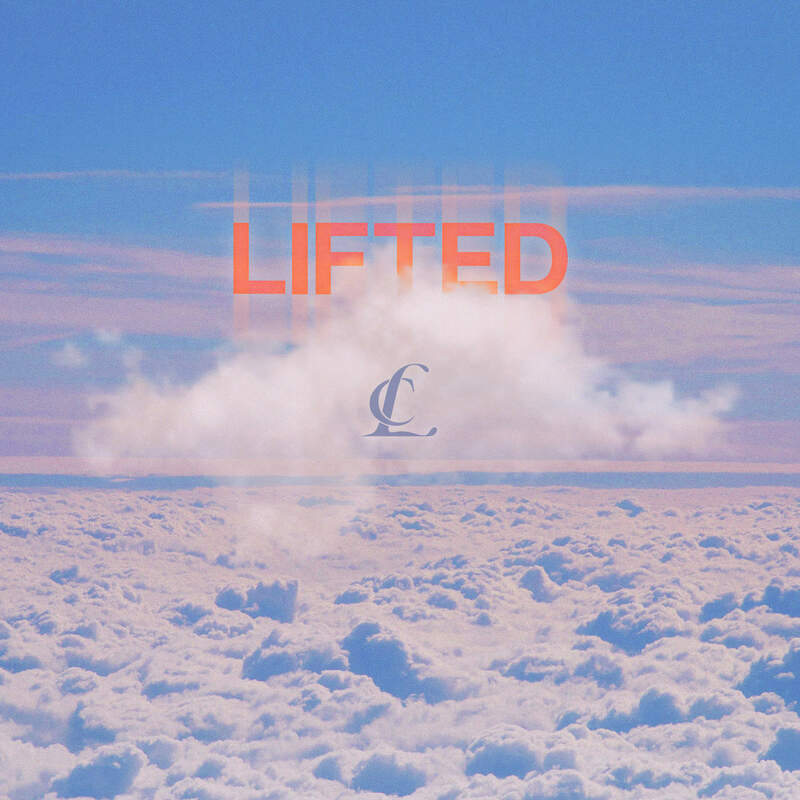 That new sound didn’t help or hurt them, the EP did well on the charts, pretty much like their two previous releases, peaking at 3rd position. Now I don’t have the data for their 4th mini album, “Beep Beep,” but I’m pretty sure they did well with that mini too, simply cause it have a similar fun sound to “WOW” and that what gave BtoB their place in the sunshine. VIXX had a course similar to BtoB’s. When they debut in May with “Super Hero,” the six-member boys group didn’t make a big impact on the Kpop scene, in fact their single only reached the 18th position on the Gaon weekly chart, their 2nd single, released about 3 month later, “Rock Ur Body,” did a tad better with a 9th position. 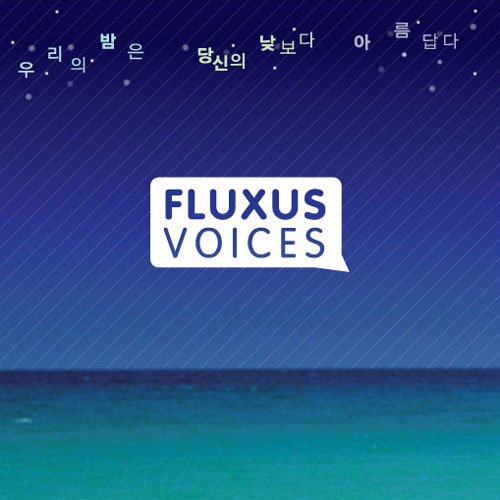 Like Teen Top’s songs, the first two singles released by VIXX are on the electro pop side with a chorus beyond addictive, so when VIXX debuted, like BtoB, they brought nothing that others didn’t already. 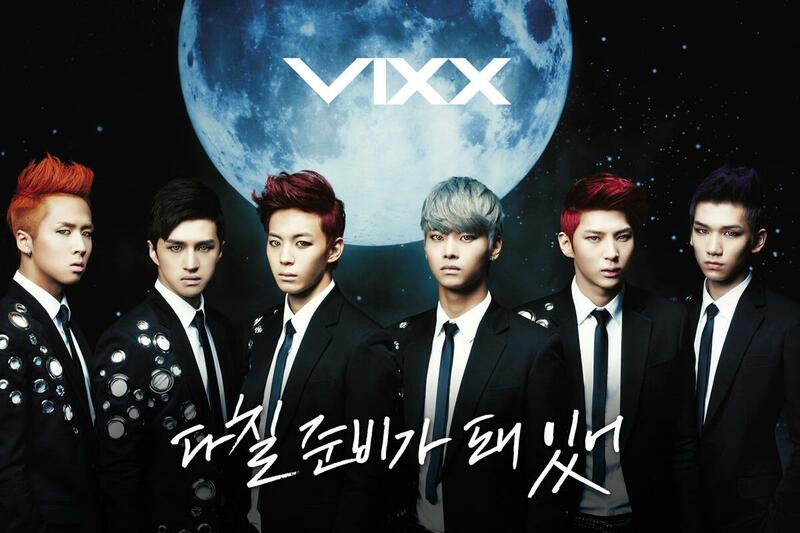 To gain a bit more attention, VIXX needed to change their whole concept. They went from a bright flower boy concept to a dark mysterious one and with that change come their first appearance in the top 5 of the Gaon chart. In January 2013 they came back with their new dark concept with the single “On and On,” which ranked at the 4th position. Two EPs, “Hyde,” in May, and “Jekyll” followed the single in July, both reached the 3rd position. In October, the boy came back to their cute flower boy image with single, “Girl’s Why?,” which reach the 4th position. All those single and EP did pretty well on the Gaon weekly chart, but not as much as the first LP of the group, “Voodoo” , release in November. 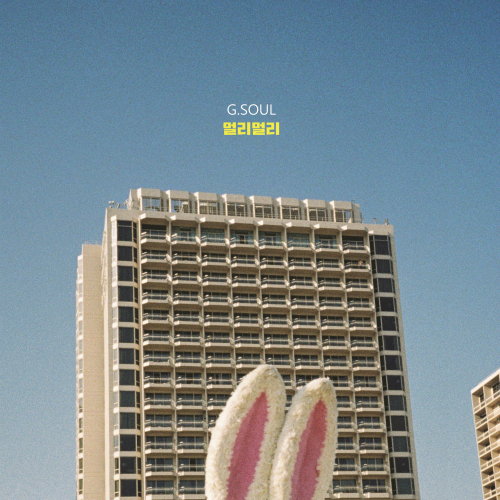 The album peaked at the highest position on the Gaon weekly and monthly chart. That concept change was beneficial for VIXX; I don’t think they would have the same success as the have now if they kept their cute boy image. Of all the groups who debut in 2012 and who didn’t have much of impact, VIXX is the one who show the most improvement. I even read some place that people compared them to Infinite and I must say they are right. Both group add to wait almost a year after their debut before being acknowledge. If VIXX have the same destiny as Infinite, they their success will continue to grow. As we can see, success is not given to everyone. Some have a stronger impact with their debut because of their concept or marketing strategies, other have to have a musical style change or a concept change to be really noticed among the other group. Those who do decide to change made a good decision, yes some times it doesn’t always work, we’ve seen it in the past with groups like U-Kiss, who despite the fact they debut in 2008, can’t still have the impact on the kpop scene they need to gain more attention. Sadly I think there are others groups who might have the same faith as U-Kiss. 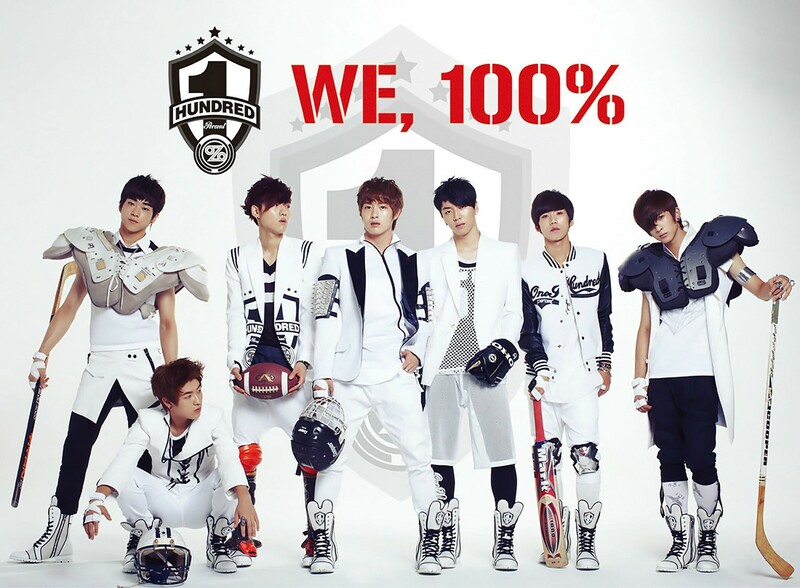 C-Clown and 100% are two of them. In my opinion both group have what it take to have success both none of them really stand out for now. Yes C-Clown 3rd EP, “Shaking Heart,” manage to reach the 1st on the Gaon monthly album chart with 5.323 albums sell and yes 100% second EP, “Real 100%,” reach the 3rd position on the Gaon weekly album chart, but it’s still not enough. In a world where you have more than 10 group debuting each years and where the older group comeback at least once or twice a year, the new boy group need to stand out from the rest and for now they don’t. 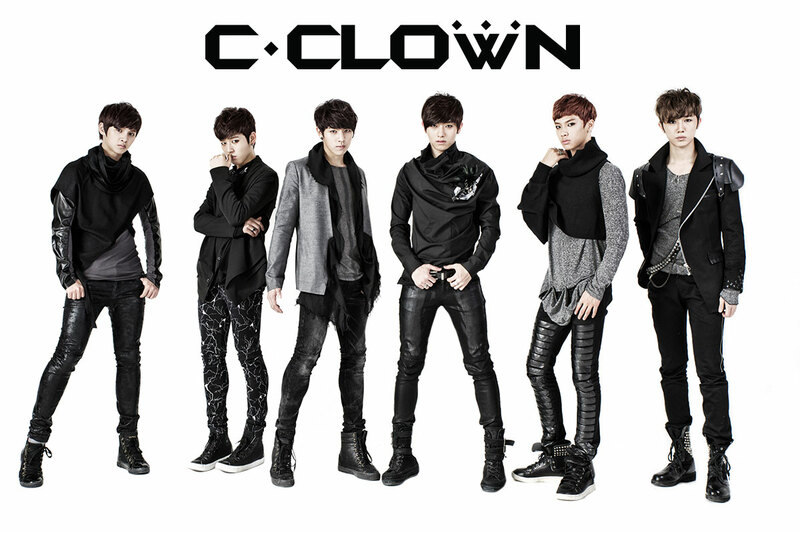 C-Clown tried to make some change with their new single,“Justice”, released in February. They pass from a generic Kpop sound to something more Hip Hop inspired, so maybe they will be to gain more attention, but once again that new concept they chose it the concept that a lot of rookie chose. As for 100% there is a lot of thing going against them. One they brought nothing new to the Kpop fan. Yes their track are somehow addicting, but it take more than addictive tracks to stand out from others groups. The second thing is the agency itself. The group is sign under T.O.P Media house of another boy group who manage to gain in popularity, Teen Top. We saw it with B2ST and BtoB, when a new group debuts under the same company as a bigger group, the newer one will have difficulty making an impression. Plus the agency CEO is a veteran idol; therefore people have a lot to expect from them. C-Clown and 100% are not in the best position for them to succeed, there is already too much group similar to them and it’s just the beginning, other group will debut. They will need to bring something really new to the Kpop fan if they want to be acknowledged by them. And when I say fan I’m not talking about Crown or Perfection, I’m more referring to the average Kpop fan, cause it’s them who will make to difference in the end. The fans of the group are already supporting them, what C-Clown and 100% need is to attract more fans, like VIXX and BtoB did. If they can’t get more attention they might end up like U-Kiss with unsure future. 2012 was the year that saw the most group debuting. If the group didn’t have a powerful impact like B.A.P or EXO, they need to make some change like BtoB and VIXX. There is group like C-Clown and 100% who seems to be forever stagnant in their position in the shadow of all those who HAVE succeeded. Previous Previous post: [Guest Blogger Week] Stone Cities: To Script or Not to Script?